On Friday 11th November, we were immensely proud of our pupils and the respect they showed to all the men and women who have fought for our country as well as those who are still serving in the armed forces. Pupils came together for a special assembly at 10.50am. 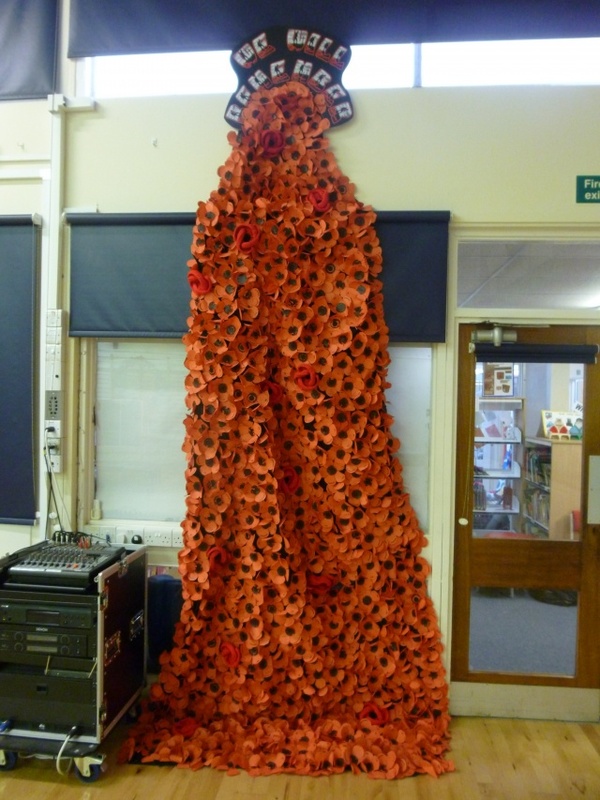 All pupils and staff had made a poppy to remember someone who had served and lost their life in Afghanistan. A stunning display brought all of these together to commemorate them. At 11am, Mrs Morris played ‘The Last Post’ before we linked up with the live broadcast from the BBC. 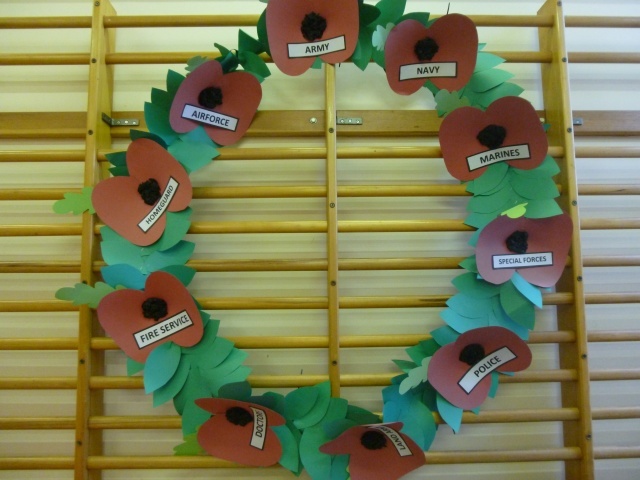 The pupils were able to see other locations around the UK where the two minute silence was being observed. We celebrated the people who do the jobs that, over the years, have kept us safe. Thank you for all the poppies and Royal British Legion merchandise that you purchased. We will let you know the total amount raised once we have been notified.